If you are looking for a vacation that offers something for everyone, this is it. There is river tubing, kayaking, fishing, biking, hiking, horseback riding, skiing and so much more. 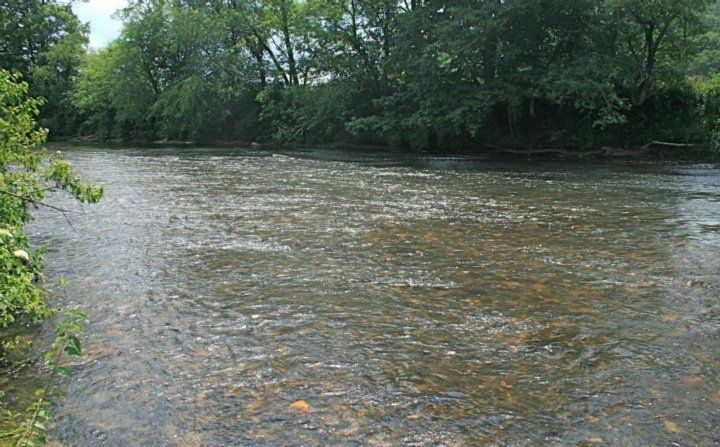 With river frontage and scenic mountains, The New River Ramble is located in the Historical District of Todd, North Carolina. 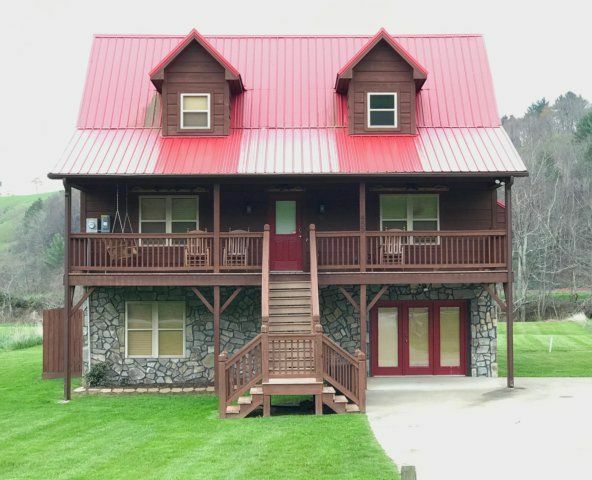 You feel as if you are away from everything with the quietness of the river in the midst of the fields and mountains, but you are still within 10 miles of downtown Boone and Appalachian State University and 15 miles from Blowing Rock. Other areas of interest, within just a short drive, include Grandfather Mountain, the Blue Ridge Parkway, Banner Elk, Valle Crucis, and Linville Falls. Appalachian, Beech and Sugar Mountain are close for skiing and Hawksnest for snow tubing and zip lining. 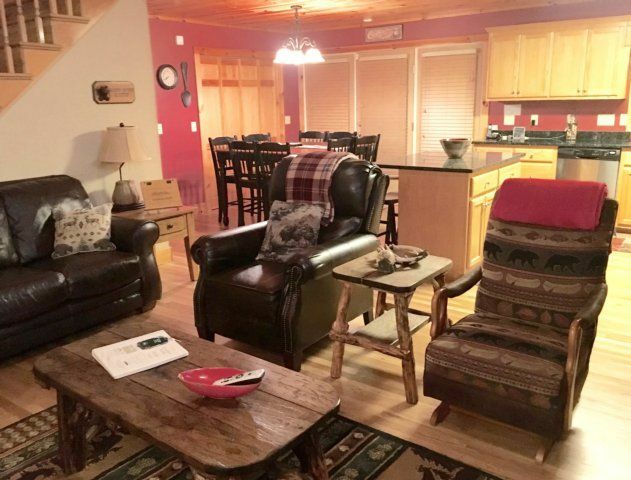 This cabin has three bedrooms and a loft, two bathrooms and sleeps up to ten people comfortably. It is decorated with mountain/river décor and has just about every amenity you can think of. From the large downstairs game room with pool table, video arcade game table, skee ball, foosball, ping pong, jukebox and Xbox game system, to a seven person hot tub. We also have a basketball goal, corn hole and a large outdoor fire pit next to the river with Adirondack chairs, river tubes, and bikes. You won't have a minute without something fun to do and the kids are sure to be entertained. 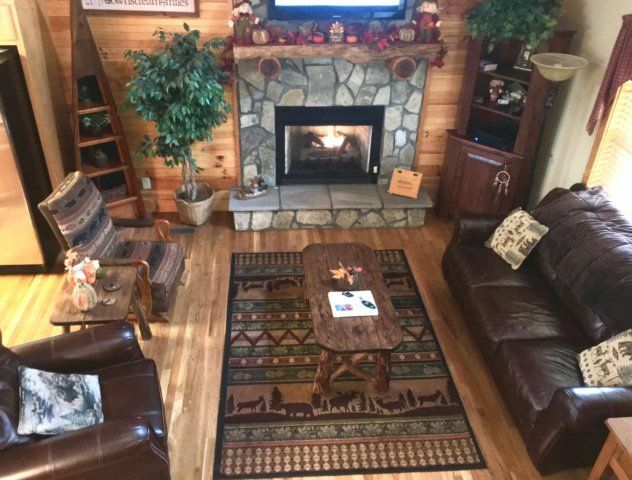 The house features: The two story Living Room has hardwood floors, comfortable leather furniture and a floor to ceiling stone fireplace. There is a large flat screen HDTV with a Premier Satellite package offering many HD channels plus local, movie and sports channels. There is a DVD player and a large library of videos for you viewing entertainment. The Living Room flows right into your kitchen and dining area. 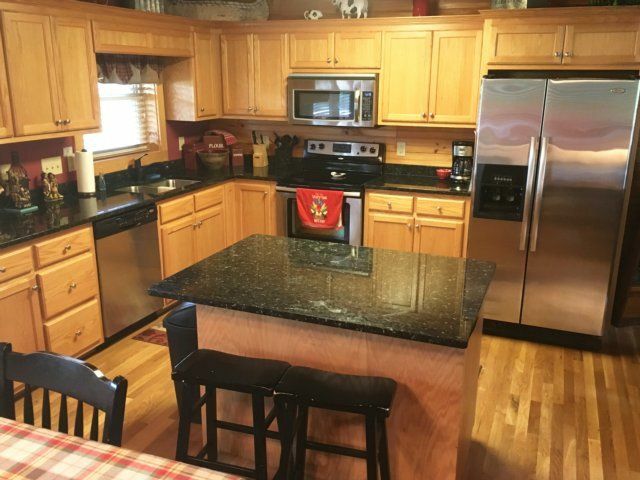 The large spacious kitchen has granite countertops, stainless steel appliances and is equipped with plenty of cookware and utensils to make cooking any meal a breeze. 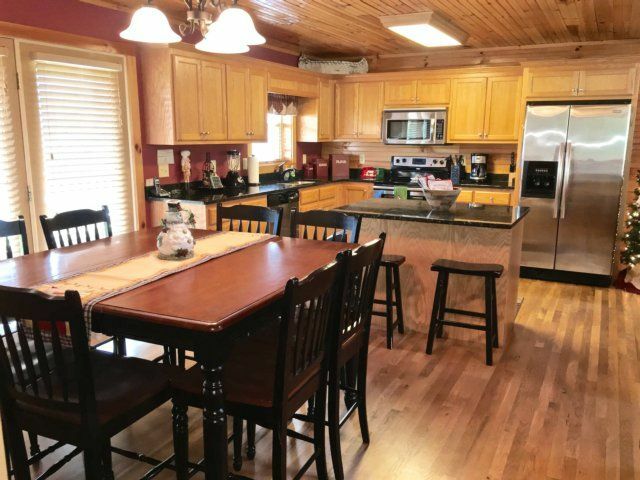 Your kids will enjoy sitting at the island helping you prepare dinner and there is plenty more seating once dinner is done for some great family quality time. 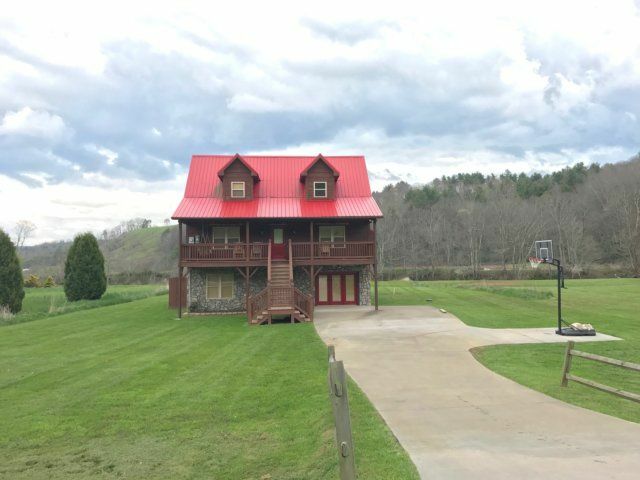 If the weather is nice, grill up some burgers or steaks and enjoy dining outside on the covered deck while admiring the scenic view of the mountains, pastures and the river. 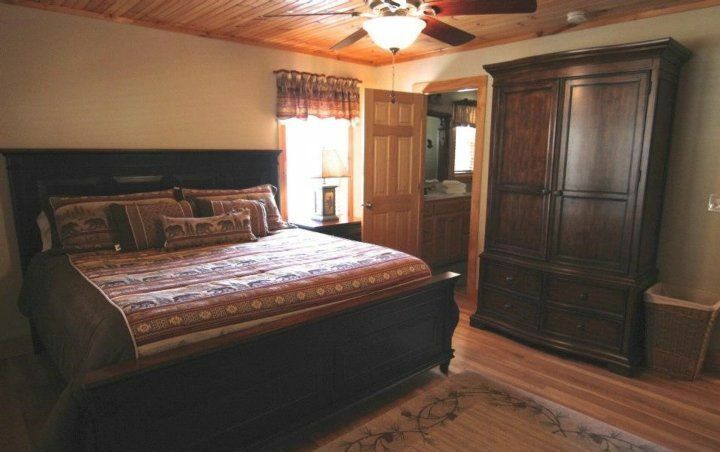 The Master Bedroom is located on the main level. 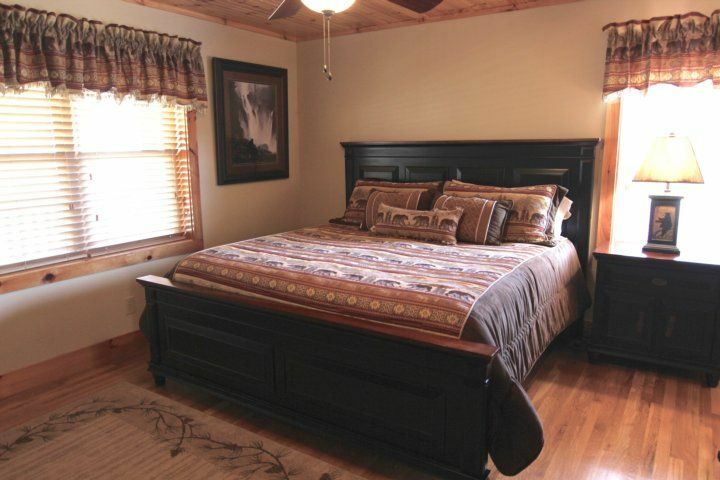 There is a King bed, decorated in a bear motif and has a pillow top luxury mattress for a great night's sleep. On a cool summer night, open your windows in this peaceful, quiet area and enjoy snuggling under the mountain quilts. There is a large flat screen HDTV for catching a late night movie and the bedroom connects with a full bathroom. The laundry with full size washer and dryer is also on the main level. 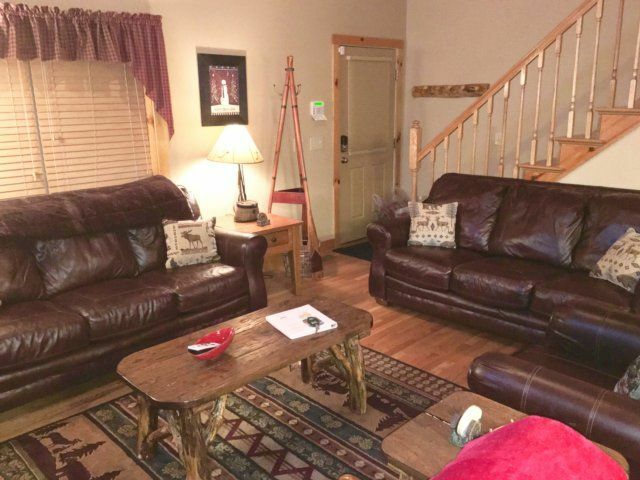 Upstairs you will find two bedrooms also nicely decorated with queen beds, luxury pillow top mattresses and quilts and their own flat screen HDTV. 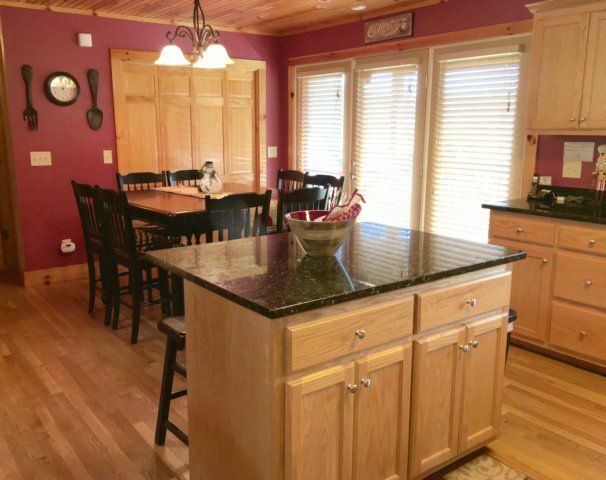 There is a large loft with plenty of windows with great scenic views of the river. You will find a queen bed and daybed with a trundle. This room is a great hit with the kids. There is also a second upstairs full bathroom with a tub. Going downstairs, you will find a game room with a Panther's pool table, Skee Ball, video arcade game table, foosball, ping-pong table, jukebox and flat screen HDTV with Playstation 3. Outside on the back patio, there is a porch swing and a seven person cozy hot tub. There is a large back yard for running or playing ball with a play unit/swing set for kids. 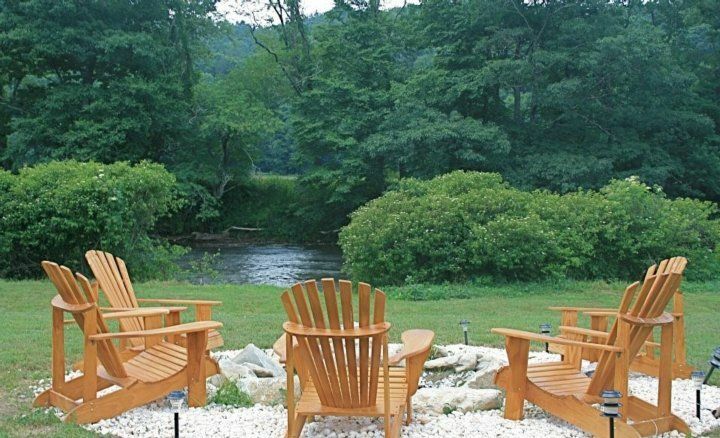 There is a corn hole game provided and at the river, you will find a stone fire pit with Adirondack seating perfect for roasting marshmallows, hot dogs or just enjoying story time setting around the fire and looking at the majestic night sky. The New River is great for floating down in one of the tubes we offer at the house. It is also fun to just wade in or go fly fishing for a fresh catch. Just a short way down the road you can find a place to rent more tubes, kayaks, canoes, bikes, and fishing equipment or take day excursions. We also offer several bikes to ride on the Railroad Grade Road, ten miles of flat, paved road that runs along the banks of the river offering hours of bike riding fun. 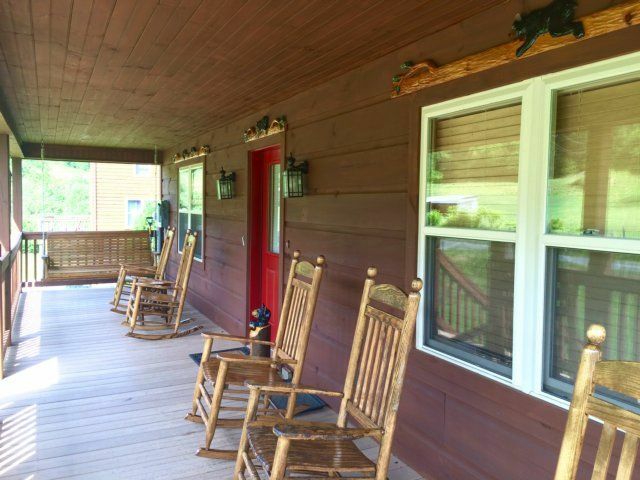 The front porch that runs along the entire front of the house is a wonderful place to relax in a rocker or the porch swing as you sip on your morning coffee. It also offers a peaceful, pastoral/mountain view and you can enjoy watching early morning cyclists and runners passing by. The driveway is paved and has a basketball goal.